Cotati, CA – Charity Navigator, America’s largest independent charity evaluator, awarded a 4-star rating to the Animal Legal Defense Fund, the nation’s leading legal advocacy organization for animals, for the fourth consecutive year. This honor demonstrates that the Animal Legal Defense Fund upholds an unwavering commitment to transparency, accountability and financial health. Our organization “exceeds industry standards and outperforms most charities in its cause,” according to Charity Navigator. Charity Navigator continues to improve the resources available for conscious giving. With a trusted rating system that carefully analyzes key performance measures, the website expertly assisting donors in making informed philanthropic decisions. Less than a quarter of organizations rated by Charity Navigator have received a 4-star rating, the highest rating available. Only 16.4 percent of the 1.8 million U.S. nonprofits evaluated have maintained a 4-star rating for four years in a row. 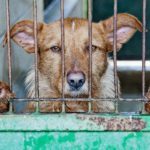 Guidestar, a database specializing in U.S. nonprofit reporting, has also presented the Animal Legal Defense Fund with a platinum status seal of transparency for 2018. The Animal Legal Defense Fund is recognized as a Better Business Bureau accredited charity, and a “Best in America” charity, awarded by Independent Charities of America, as well.